If you’re thinking of using a purchased list to send email as your ONLY marketing strategy – think twice. One of the best ways to make a purchased or rented list effective is to use direct mail to drive leads to a landing page, where potential customers can fill out a form to be entered into the company’s database. Once the form has been filled, your lead is now an ‘opt-in’ and can successfully be included in email marketing campaigns with little risk of spam or blacklisting. By using this strategy, marketers can get the most out of purchased or rented lists. However, as with any campaign that involves a targeted list, much will depend on the quality of the list. Research has concluded that approximately 60% of your direct mail campaign is based on the quality of your list. If the quality isn’t up to par, then you are just wasting your time and money. To help you with the list building process, we have gathered some list tips and best practices for direct mail. An excellent guideline for list building is the more targeted, the better. Whether you choose to buy or rent a list, it should be as targeted as possible. Step one is to sort through the basic demographics of your target audience like age, gender, income, family status, etc. Once you have a demographic laid out, check with the list company to see what other specific targeting options are available. Some list companies will be able to provide micro-selects which may come in useful for you. Micro-selects are top level models of consumer behavioral tendencies. An example of a micro-select would be “propensity to shop for a new car”. While this behavioral model is not 100% accurate, micro-selects are a very valuable indicator of consumer intent. The most convenient way to find your targeted mailing list for your business is to make use of the services of a broker. Brokers are direct marketing professionals who will be able to provide you with list recommendations – a.k.a. “list reco”. Brokers do the research according to your specifications and come back with a selection of direct mail lists in your target area. Unless you have experience in purchasing or renting lists, it will be a daunting experience for you, no doubt. A list broker is highly experienced in this area and will often help you negotiate lower list rental rates. Before paying to purchase or rent a list you should make sure the company is willing to give you a guarantee over delivery rates. List companies offer guarantees that include refunds for returns over a certain percentage or additional ‘free’ records for higher than normal returns. 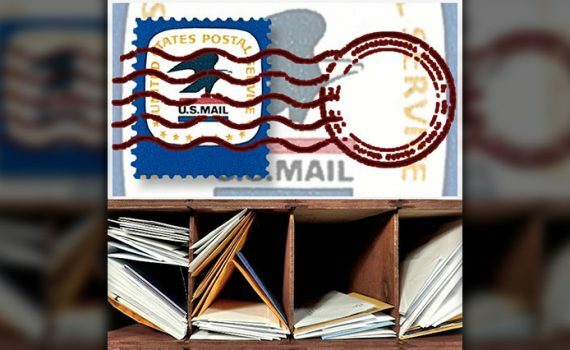 As a best practice, you should also tell the list company that you plan to mail First-Class, whether you actually will or not – with First-Class, the postal service is required to send returns. Stating that you intend to mail First-Class will prompt the list company to provide you with the actual expected return rate. What IS small? When it comes to direct mail offers, small is bigger than one may think. The idea that you will send out 200 mailers, one time, and get a good return is pretty far fetched. To test out your messaging on a smaller scale, it’s recommended that you send out at least 2,000-2,500 mailers to a targeted audience with a couple of different offers, and then lock down on the most successful campaigns. Starting small can help you pinpoint the list types that are the most suitable targets for your business, and then you can expand your campaigns accordingly. But remember – you must keep a good campaign rotation going to keep your business expanding. Direct marketing is an ongoing effort. Direct mailers should look to drive their prospects back to a relevant landing page where they can complete a form if they wish to purchase or receive more information. Why? Consumers these days are getting more and more self-directed and are likely to research their options online before making a purchase. A good practice to keep in mind in this case – is to send prospects to a personalized URL or PURL so you can track the targets on your list who have visited your site. Consider delivering your offers by combining email and direct mail to reinforce your message and increase the probability your offer(s) will bring in business. When using varied channels, each communication should build on the previous contact. Direct mail should emphasize a key message and call to action while keeping visual consistency across all media and adhering to the same graphic standards to reflect the same voice so each piece reinforces and extends your brand promise. Direct mail offers can be used to start a conversation with people whose emails you do not yet have, or who have not responded to your emails. “Buzz Words” like ‘Introducing’, ‘Announcing’, ‘NEW’, ‘NOW!’ and ‘FREE!’ have been proven through research to attract above average response. Words like ‘easy’, ‘quick’ and ‘improved’ have been shown to increase product sales, so we say: Definitely use them! When people are uncertain about what action to take, they tend to do what others tell them to do. Using techniques like posting customer testimonials or stating the number of satisfied customers a brand has – will increase your mail piece’s response. On large scale direct mail campaigns, such as franchise mailings, direct mail with email and other digital campaigns, should allow a marketer or salesperson login to a web based solution, make a few selections, upload creative assets and hit ‘send’. This automation comes in handy for corporate businesses with several branches or franchise businesses, and this is something that can be set up by your direct mail partner when necessary. Direct mail tracking should be available 24/7 so you can see deliver-ability and activity rates down to a specific piece of mail. Always look for solutions with direct mail tracking and use them with your campaigns to continually ensure you are sending the most effective offers.